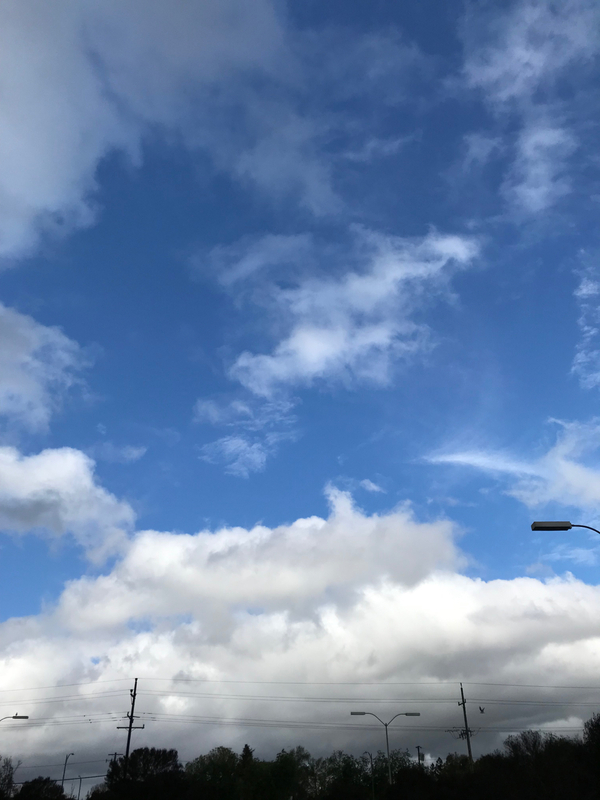 This was an attempt to combine clouds with blue skies. First, I used liquid latex to mask areas for the clouds, then I painted the blue sky. I knew that the sharp edges around the mask would need to be soften, as clouds are soft. On some of the edges, I added water, before the blue pigment dried. This caused some blooming, which works well for clouds, and did soften the edges a bit. I was fairly successful in the lower part of the sketch, but failed in the upper half. I’m not sure if re-working the latter area would succeed, so I left it alone. Each of my fails adds to the database that will help me succeed in future sketches. 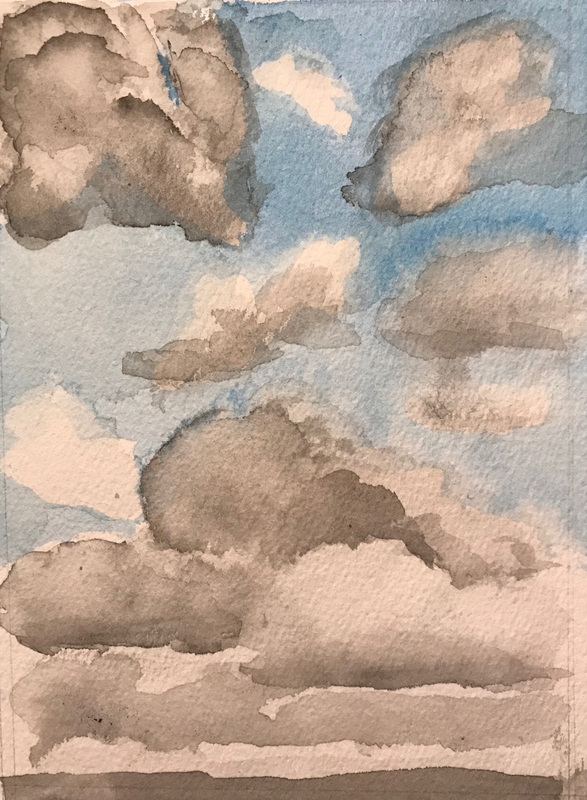 This entry was posted in Personal Stories and tagged art, artistic expression, artistic failures, artistic process, clouds, failure, visual art, watercolor, watercolor sketch, watercolor techniques. Bookmark the permalink.